As a massive nature lover, I gravitate towards travel experiences that allow me to explore parts of the world where humans are the minority. I’ve been lucky enough to swim in some at some of the world’s best reefs, dive with the great white sharks and view the big five up close, but here’s my list of the top nature travel experiences I’m dying to have. Note: I haven’t included Madagascar in this list because I will be there in four months’ time! Lake Malawi is home to over 1000 species of cichlid… a few of which I happen to have in my fish tank at home. To see them in their natural habitat, and to witness the incredible diversity of the lake’s ecosystem, is a major goal of mine. Here’s a bit of information about just how imporant this lake is, especially from an evolutionary standpoint. I have a confession to make… since I was a kid, I’ve always been a bit scared of “killer whales. I have no idea where it comes from bt from time to time I’ve even had nightmares about them. That said, they are absolutely beautiful creatures and I would just love to see them in the wild. Where, I don’t know. There are populations of Orcas all over the world. However, I’m thinking either Alaska or southern New Zealand somehwere like Milford Sound – incredible!). It looks like a great spot to see them is in Kaikoura – find out more here. Forgetting the incredible science behind this spectacle, I can’t think of anything more romantic than sitting and watching the Northern Lights. Forget stargazing, I’ll take aurora borealis any day! Visit Norway has some great information about the lights here. This has always been my number one dream. Charles Darwin is a hero of mine and many hours during my uni days were spent reading his work and I would love to be able to retrace his footsteps. Unfortunately Lonesome George is no longer around but his cousins are there to visit! 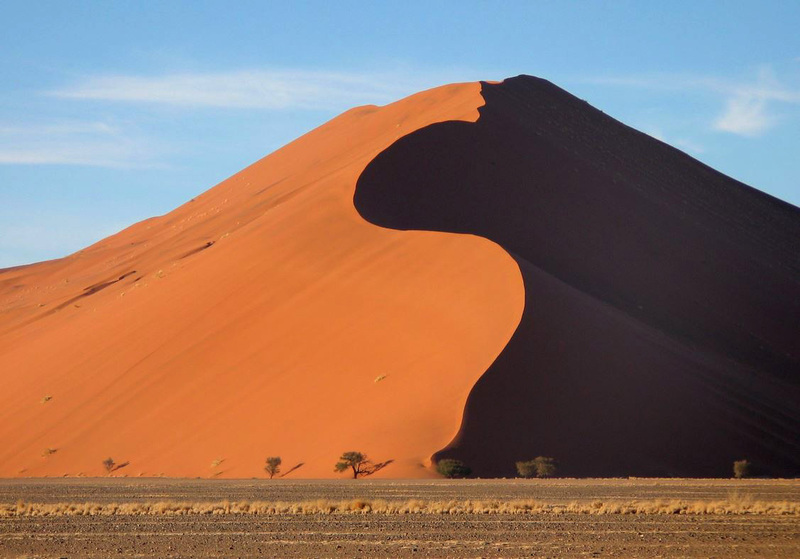 Here you will find some of the highest sand dunes in the world, as well as petrified dunes and forests. I love the idea of how remote and inhospitable this place is; where the life cycle of a beautiful sand dune can be seen uninterrupted. There is also a surprising abundance of fauna here which highlights the fascinating survival instincts of many animals. The Victoria Water Lily. Yep, a water lily. Big deal you might say… but this water lily is massive and one of its leaves can support the weight of a child. Because I live in Adelaide, I’m lucky enough to live close to the beautiful Adelaide Botanic Gardens which has the Victoria Water Lily on display, and I’ve spent lots of time marvelling at them. But to travel through the backwaters of the Amazon in a little boat surrounded by the Victoria Lily… wow! China’s endangered Giant Panda population, mainly found in Sichuan Province, are becoming a big drawcard. Unfortunately, the tourism the pandas are bringing in doesn’t seem to be enough to stop things like this happening… so I’d like to head over to see them sooner rather than later.